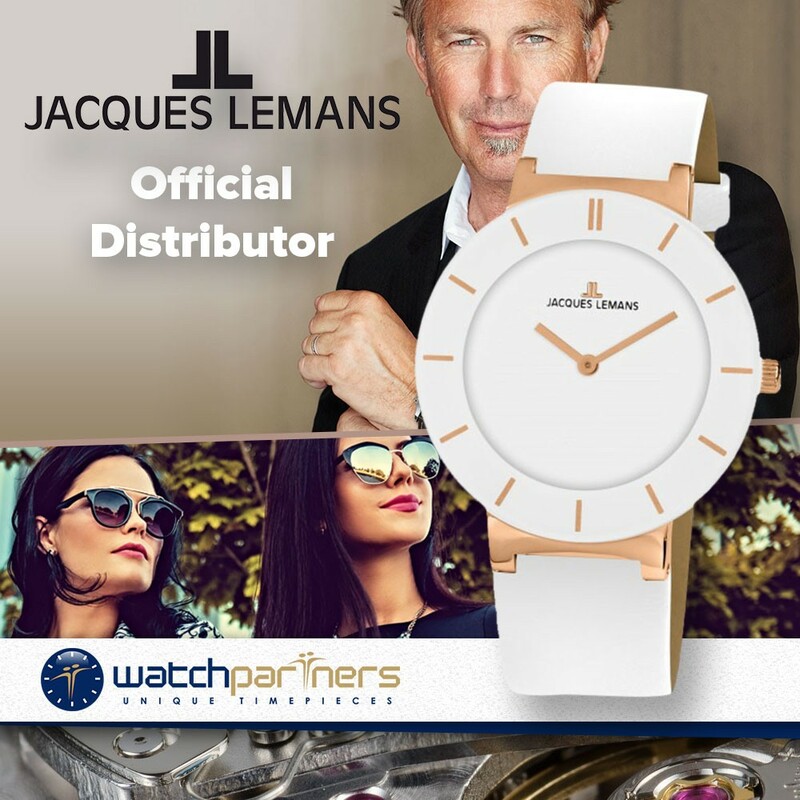 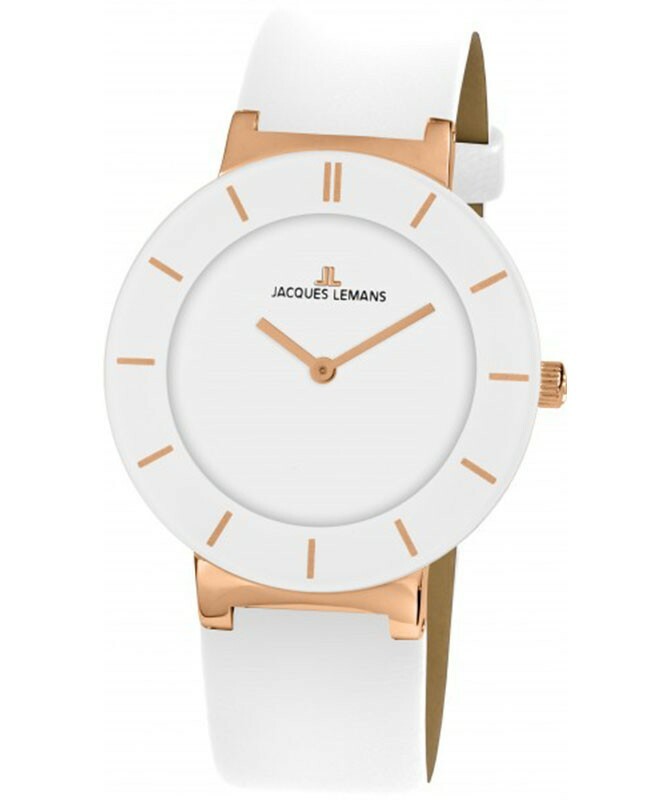 This ladies model from the series "Monaco" by Jacques Lemans is a particularly noble timepiece. 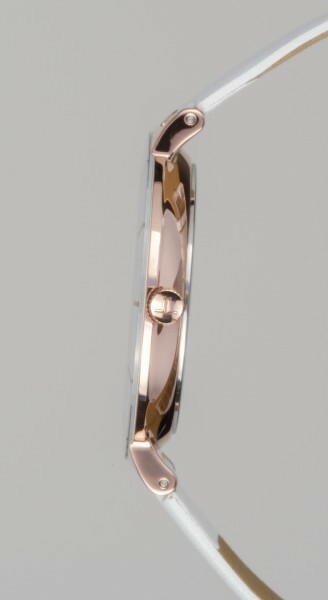 The flat case of solid stainless steel / IP-rosé has a diameter of 38mm, the white dial with narrow indexes on the bezel impresses with noble elegance and cool understatement. 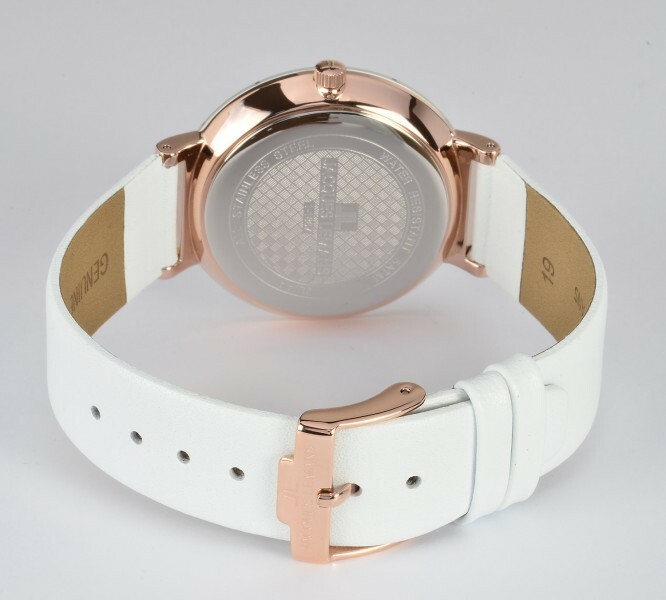 The watch has a quartz movement, hardened Crystex glass, a round housing base with a crack and a water tightness of up to 5 ATM. 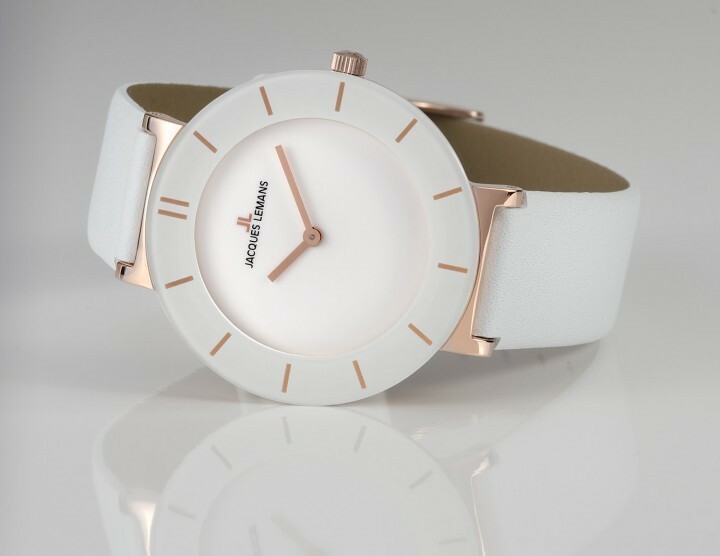 The high-quality, white leather strap with pin buckle emphasizes the elegant and, above all, high-quality look of the watch, this timepiece surely evaluates every outfit.